Thirty five films throughout cinema’s history have grossed more than a billion dollars, including two Marvel movies this year. 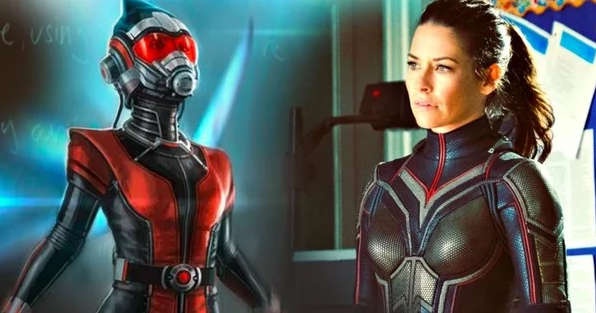 Ant man and the Wasp swatted away the competition last weekend, logging $76 million in ticket sale in the North America. Marvel’s latest comes on the heels of two mammoth successes this year for Disney: Black Panther and Avengers:Infinity War. Ant man and the Wasp offers a more dodest , funny and light hearted changes of pace for Marvel. The movie is the sequel to Ant Man, which introduced by Paul Rudd as a chief enlisted by Michael Douglas’ Hank Pym to become a do-gooder. With the recent release of Ant man and the wasp, more new villains were brought to Marvel’s Cinematic Universe. But for one of the films actors, it is actually DC that has better villains. Ant man and the Wasp like the first movie directed by Peyton Reed, sees lang languishing under house arrest in San Francisco after being cought as his superhero alter ego fighting some of the other Avengers in Civil War. The Ant Man sequel may be about tiny superheros , but film is making a big statement abou female empowerment by featuring Evaneline Lilly . the Wasp not only in the title , but giving her larger stake in Marvel’s sprawling movie francise. Ant Man , Lilly’s character does not learn until the movie’s end that her father built a suit that gives her power to transform to various sizes and fly. Ant man and the Wasp is also only the second MCU film with a female principle adversary , that Cate Blanchett’s Hela in Thor Ragarnok. British actress Hannah John Kamen plays ghost, a villain bent on sowing discord among powerful institutions.